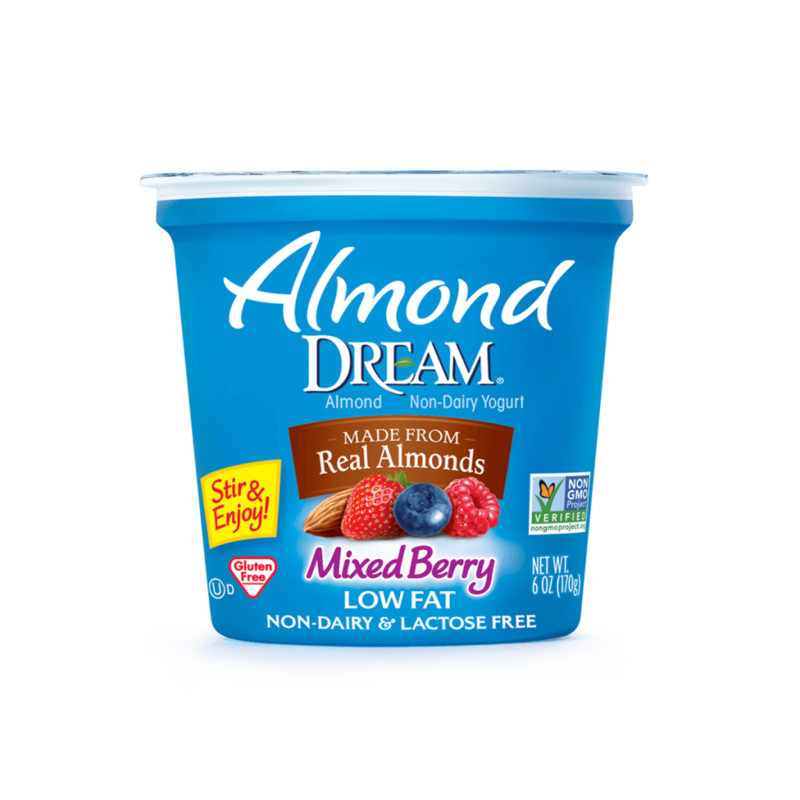 Creamy Almond DREAM® Mixed Berry Non-Dairy Yogurt gives you layer after layer of juicy berry flavor. 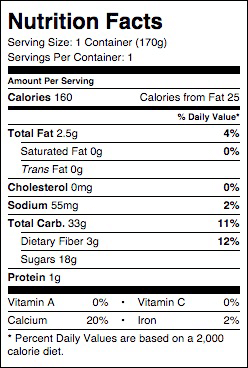 Enjoy alone or as a great addition to smoothies! ALMOND BASE (WATER, ALMONDS), MIXED BERRIES BLEND (EVAPORATED CANE JUICE, STRAWBERRIES, BLUEBERRIES, RASPBERRIES, NATURAL FLAVORS, CAROB BEAN GUM, PECTIN, FRUIT AND VEGETABLE JUICE [FOR COLOR]), STABILIZER BLEND (TAPIOCA MALTODEXTRIN, CORN STARCH, PECTIN, CAROB BEAN GUM), EVAPORATED CANE SYRUP, TAPIOCA FIBER, TRICALCIUM PHOSPHATE, CULTURES*. *CULTURES: L. ACIDOPHILUS, P. LACTIS, S. THERMOPHILUS, BIFIDOBACTERIUM LACTIS, L. ACIDOPHILUS, L. CASEI, L. RHAMNOSUS, L. DELBRUECKII LACTIS & BULGARICUS.